Greetings, Groove-ophiles! 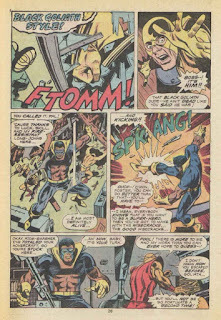 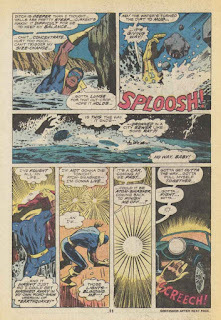 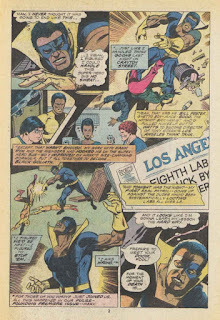 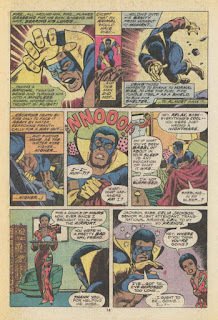 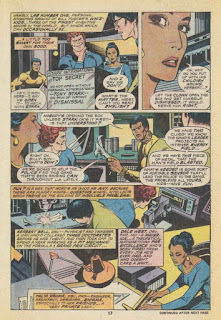 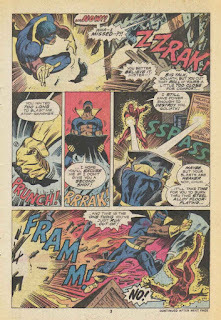 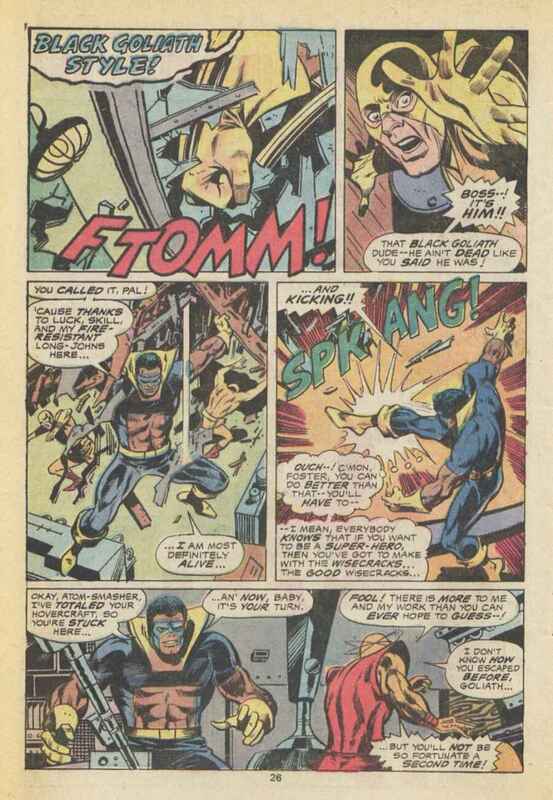 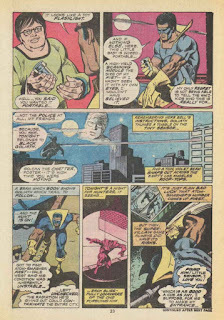 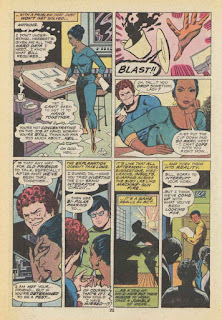 With Black Goliath #2 (January 1976), co-developer/writer Tony Isabella was gone and in his place was Chris Claremont (who'd been turning heads with X-Men and Iron Fist). 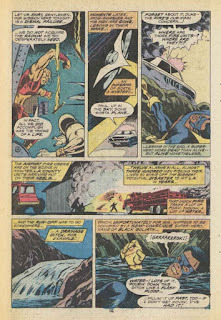 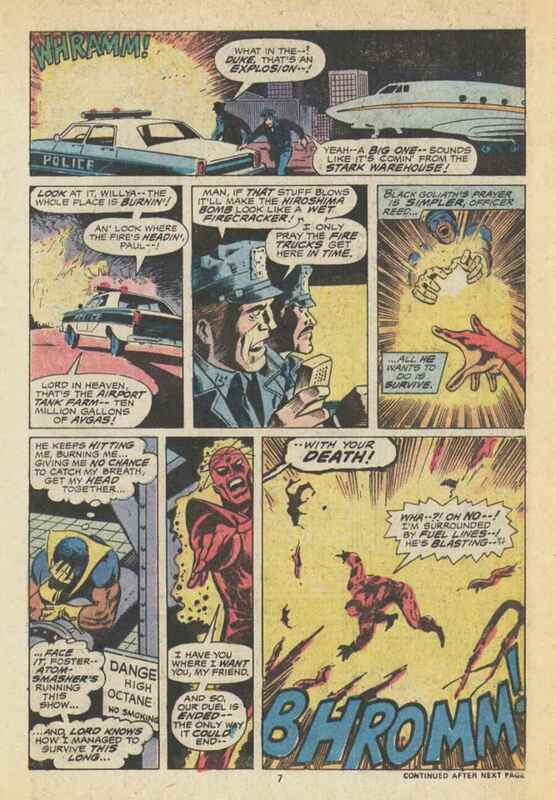 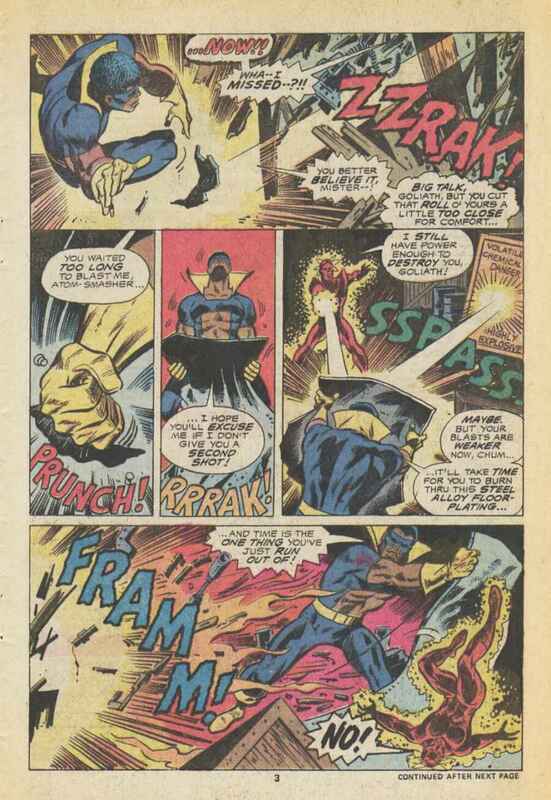 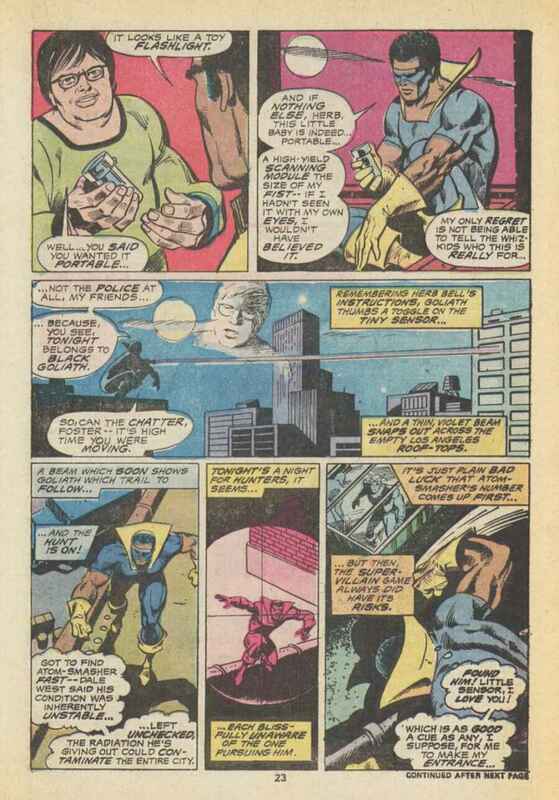 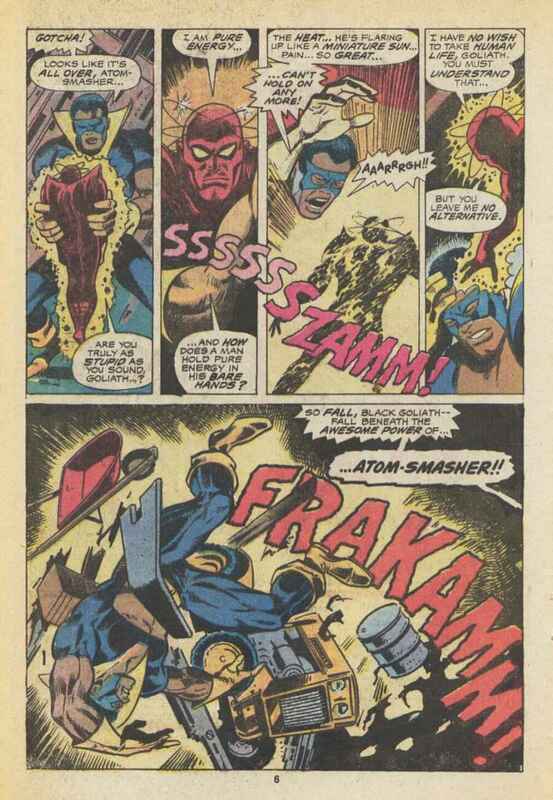 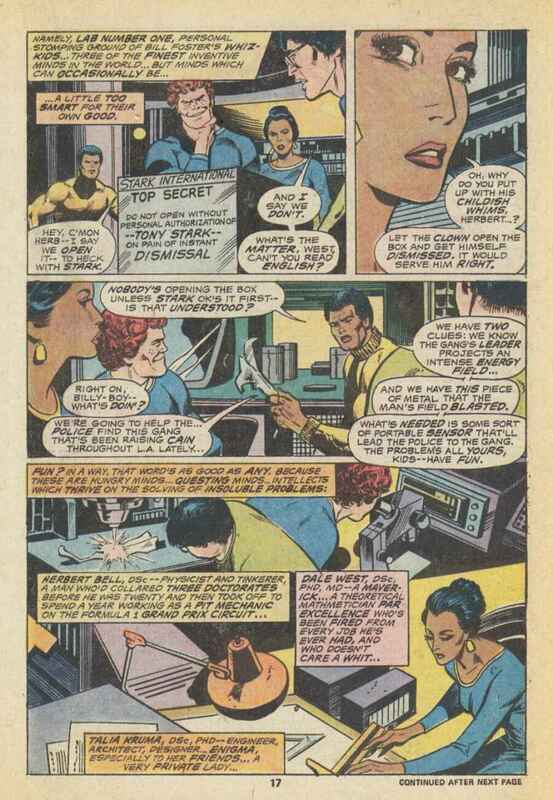 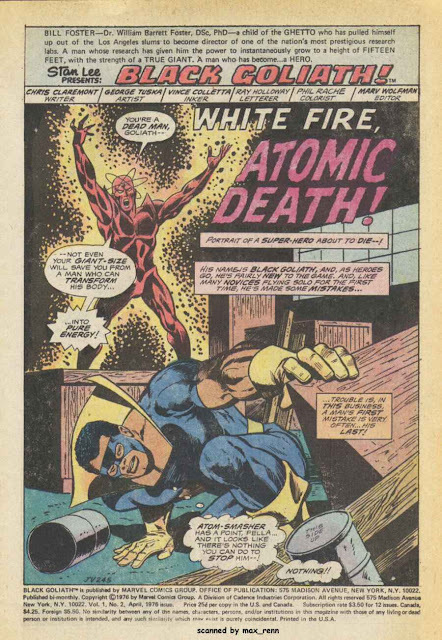 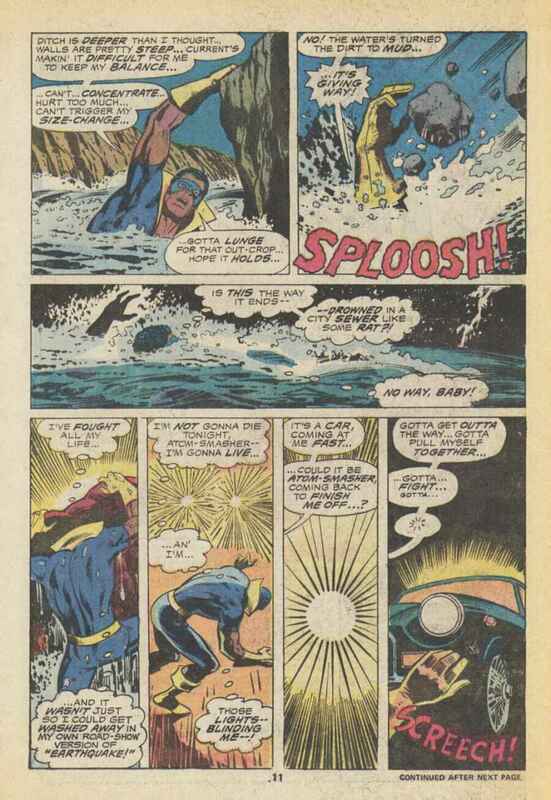 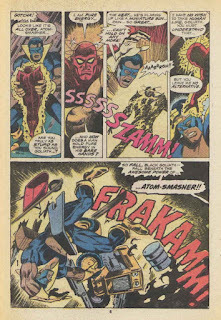 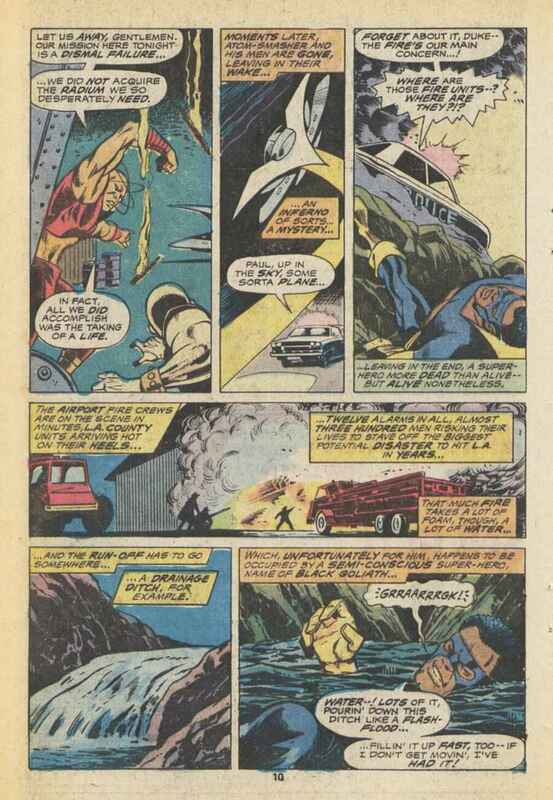 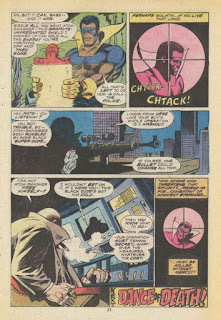 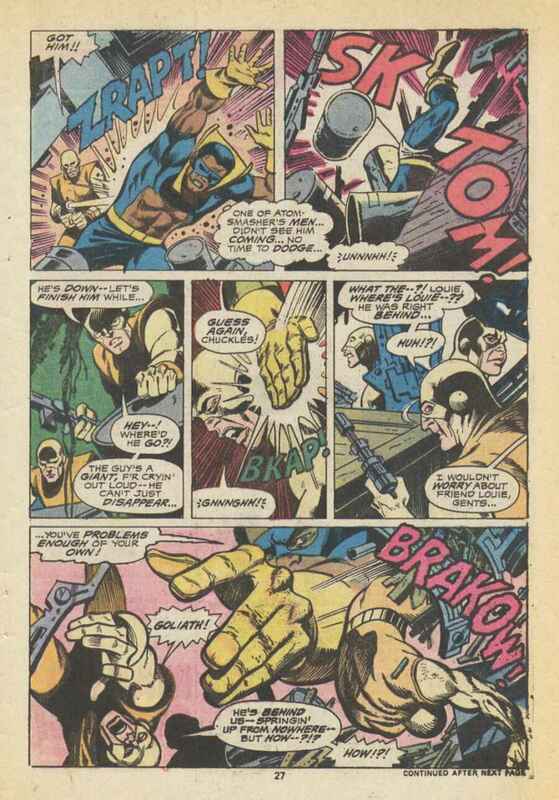 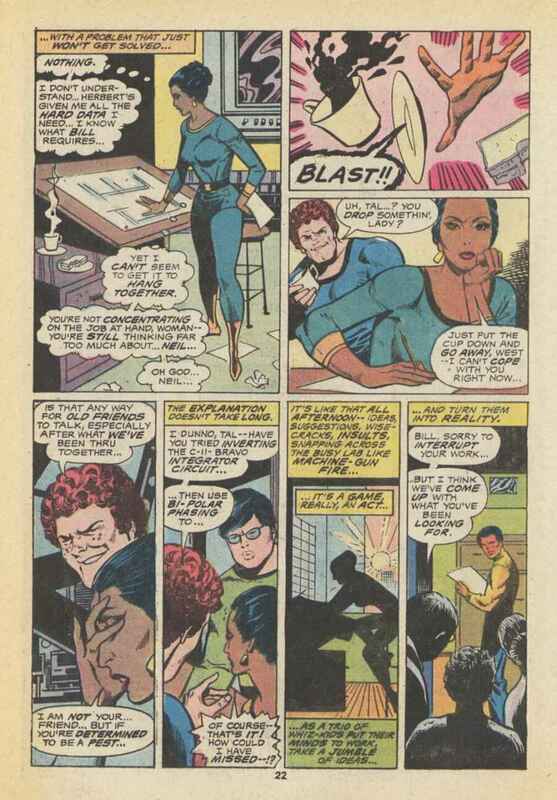 Besides a liberal dose of action courtesy artists George Tuska and Vinnie Colletta, we also get more of BG's side-kicks, the Whiz Kids and some mysterious, behind-the-scenes baddies who seem to be manipulating this issues bad-guy, Atom Smasher. (Claremont loved those secret behind-the-scenes-villain type villains back then, didn't he?) 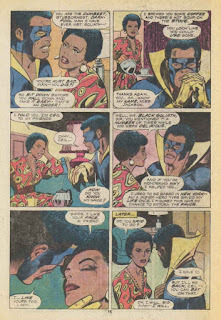 Okay, baby! 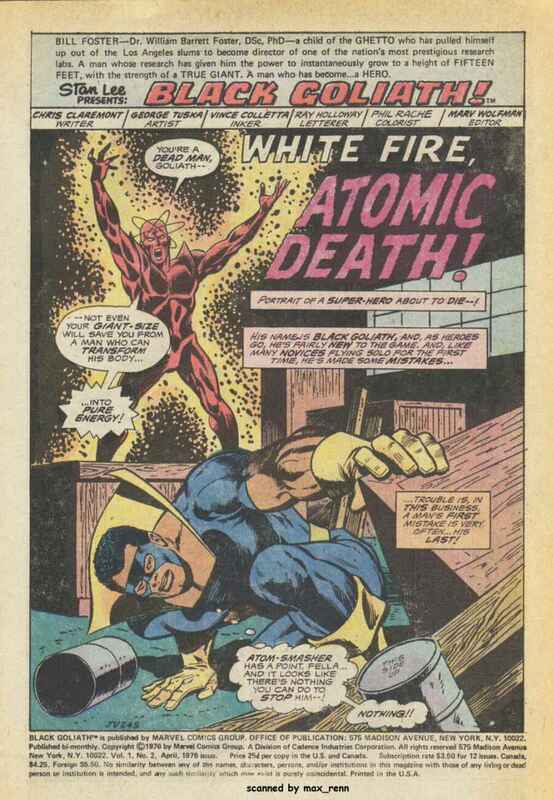 Are prepare for..."White Fire, Atomic Death!" 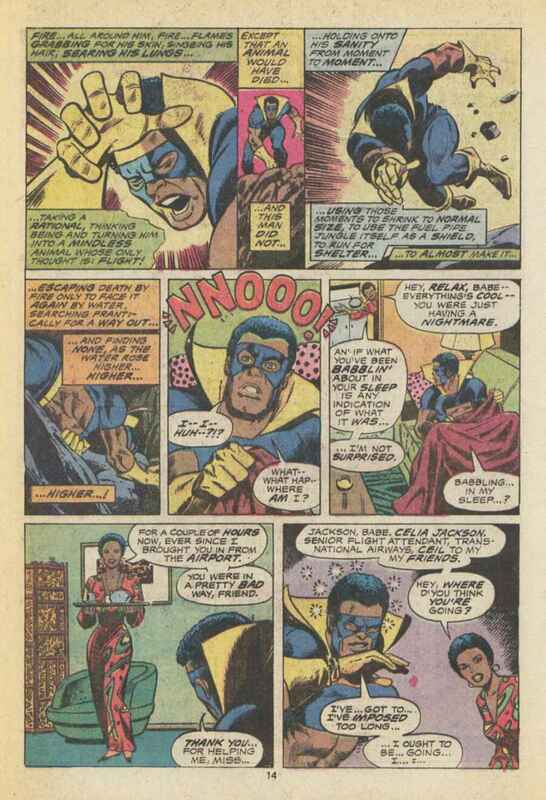 No comments for Black Goliath? 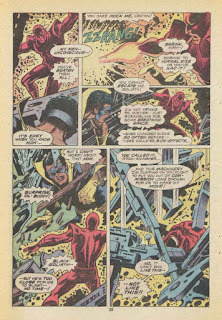 Surely someone besides myself appreciates this briefly appearing title that had solid art by Tuska/Colletta, all the 70s Marvel strengths of characterization and relevancy and just plain fun back when picking up a comic was as easy as hopping over to the new-fangled comic shops that were popping up all over the landscape and going home to escape for 15 minutes or so into the four-color world that was the House of Ideas. 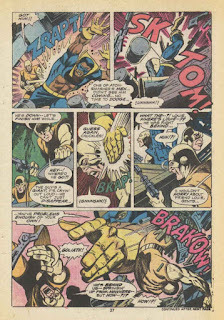 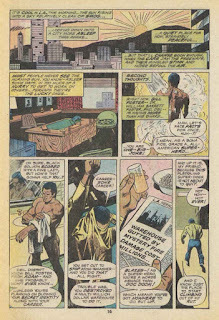 Black Goliath got better with each issue (barring the fill-in, which was a plague of the 70s) until the ax unexpectedly fell with issue # 5. 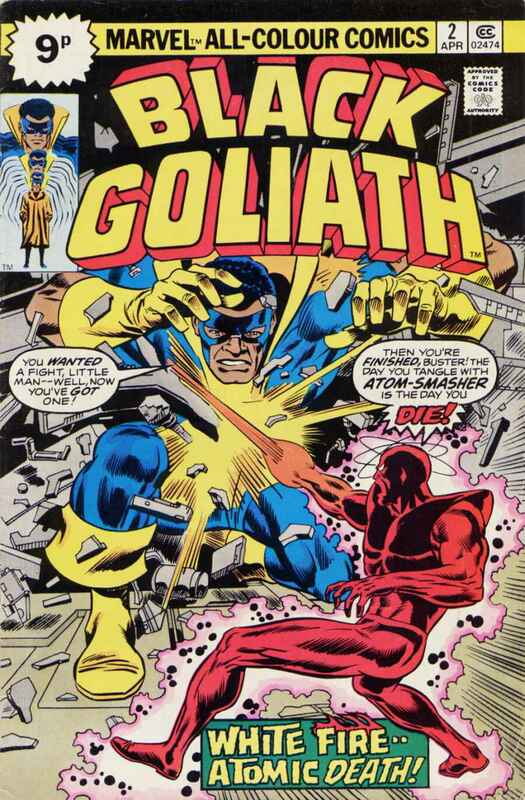 Unfortunately he was cursed with bad covers of which this issue is one.